The VSonic GR07 in-ear monitor has been a big part of the portable Hi-Fi scene for the past four years, thanks to sound that’s quite neutral, yet not lean or lacking in bass. At the time of its release, there wasn’t much that could touch the GR07 in price/performance at its $179 price point. In 2012 the earphone underwent an cable update, giving rise to the GR07 mkII. An enhanced-bass version, the GR07 Bass Edition, was released that same year. Since then, the in-ear headphone market has steadily grown more and more competitive, with both seasoned manufacturers and newcomers stepping up their game. The lines between entry-level, mid-range, and high-end have never been more blurred. VSonic’s more recent releases – the VSD1S, for example – by the company’s own admission offer a large chunk of the GR07’s performance at a fraction of the price. Now, however, there is a new GR07. Dubbed the GR07 Classic, it is available in three new colors and carries a much more attractive $99 price tag. The Classic uses the same 11mm bio-cellulose drivers that propelled the original GR07 to Head-Fi stardom and shares the sonic characteristics of my original mkI GR07 from 2011 – for the most part, at least. Like the original GR07, the Classic provides a balanced tuning with a slight bass bump—not so much as to make it sound bassy, or even particularly warm, but enough to create a more full-bodied sound and deliver better punch and impact compared to reference earphones with single- and dual-balanced armature designs. The low end is accurate, tight, and well-extended, and the tone is still rather neutral. The midrange is not forward, but it is clear and detailed. Treble is prominent but somewhat peaky, at times resulting in a slightly hot, occasionally sibilant sound. This is mostly an issue at higher listening volumes and on records already prone to sibilance, but the GR07 is has never been one for the treble-sensitive. 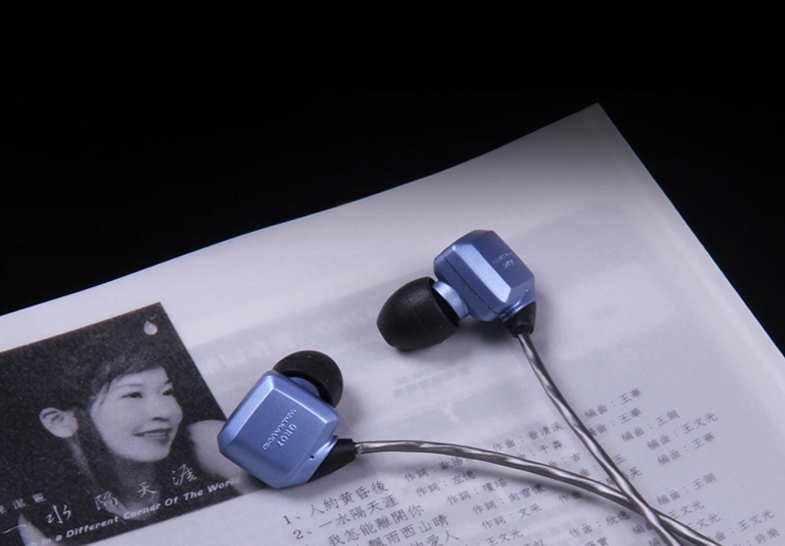 The presentation is quite wide and airy for an in-ear earphone, but lacks some depth compared to higher-end sets. Nonetheless, the GR07 Classic is not an exact match for the sound of my GR07 mkI – the differences are slight, only noticeable in an A:B comparison. The Classic sounds a touch more full-bodied, with greater note thickness throughout. It is also smoother through the upper midrange and treble, again only just. The GR07 mkI, on the other hand, is a touch clearer and more crisp, and a hair brighter than the Classic as well. The differences are small enough that they will not be noticeable to someone who doesn’t have an older GR07 for comparison. Considering that my GR07 is 3 years old (and quite well-worn), there could be a number of explanations for the differences from simple unit variation to three years worth of earwax collecting in my older unit. One thing is clear – at $99 and with a sound signature 98% similar to the original GR07, the GR07 Classic is a great value. Lastly, a warning for potential GR07 purchasers – it has been brought to my attention that some sellers on eBay and other marketplaces are selling the GR07 Classic as the GR07 mkII or “GR07 Classic mkII”, complete with the mkII’s higher price. Examples on eBay here and here. There are no silver/red/blue GR07 mkIIs, so with these particular listings you’re simply paying $50-70 above the suggested retail price for a GR07 Classic. Don’t. Hi there, thanks for the thorough and informative review! Do you know anything about why they removed the tip rolling function in the new Gr07’s? I had one from years ago and loved how they rolled to fit my ears. I bought the new classic in maroon from amazon and the buds are just stuck in one place. Some reason I’ve never been a fan of any of the VSonic house sound signatures. They always sound a bit muddy with the recessed mid range. Still don’t really understand all the hype. Considering you can get the Vivo XE800 for $20 on alliexpress and it uses the same Biocellulose driver in the GR07 I’d recommend these to see if the signature is for you. I realised that the iem scene is getting more focused on making BA iems more than DD ones. I do enjoy DD mores more due to its more cohesive signature. I’m wondering what other choices of iems do I have for a as far as possible neutral sound signature iem other than aurisonics rockets and hifiman re400. I was considering a vsonic gr07(concerned about the sibliance stated in reviews) or a ath im02 if there ain’t any other choices. Not too many options for this, but it’s less because BAs are taking over and more because neutral-sounding earphones just aren’t that common/popular. The few I’ve tried under $200 that are reasonably close to “balanced” sound and missing from your list are the Philips Fidelio S2, MEE audio Pinnacle P1, and Brainwavz R3 (although this one is a dual dynamic it sounds pretty similar to a HiFiMan IEM, not sure if it even has a crossover). Otherwise you’ve pretty much got the top recommendations already – HiFiMan IEMs and the Rockets are great for sibilance-free, cohesive sound. You definitely don’t risk breaking your earphones if you use them without an amp, you just might get a (marginal, in this case) improvement in sound quality with an amp or amp/dac. The GR07 is not very picky and honestly I wouldn’t recommend investing an amp or dac for it. You’re better off trying to roll some aftermarket eartips to reduce the sibilance – it’ll cost you less and is a more targeted approach for this particular problem. I am looking for an iem with a balanced sound signature, smooth/fatigue free, and detailed. I have the flare 2A and hifiman re600; they fit the above qualities and I absolutely love them. They also have small housings and therefore extremely comfortable. Unfortunately, they are also really fragile (I had to reterminate the re600 once, and it is currently being recabled again). I looked up several iems that I can get for a bargain for a second hand pair; Fischer Audio dba -02 mk2, Aurisonic Rockets, TDK BA200, Vsonic Gr07, Audio Technica IM02. They are all very great earphones but I’m unsure which will fit the bill. The Rockets, BA200, and IM02 are the only ones I’d consider non-fatiguing. The GR07 can be sibilant and the DBA-02 mk2 can be bright and metallic compared to something like the RE-600. My first pick would be the Rockets – they’re extremely well-made, have small housings, and maintain the same sort of smooth, dynamic-driver sound you’re enjoying from your other earphones. A BA-based set, even one as smooth as the BA200, is going to take more getting used to. Plus, the BA200, as much as I like it (which is very much), is not the most well-built earphone. The IM02 would be my third choice for sound. Good all-rounder, just more of a compromise compared to the Rockets and BA200. So for 135 I snagged a secondhand rockets and have been using them for around 2 weeks. I must say that the build quality is very top notch. These things ain’t gonna die on me anytime soon! Sound quality of it is also quite decent, I always wake up realising I fell asleep listening with them due to its butter smooth sound. This might me due to the early roll off treble and its low sensitivity. I do appreciate a little more detail in the mids and highs, but hey I could use an iem that sounds different from my other dailys every other day though! I’m just curious about are the gr07 more detailed across the frequency compared to rockets? Does it sound too sharp for my preference if I find the treble on the flc8s stock configuration on the edge of my sibilance tolerance? Yeah, GR07 is much more similar to the FLC8 than to the Rockets. This does help a bit with detailing and the treble is not rolled off, but it’s not a safe choice here. There do exist IEMs that fall between the rockets and the GR07/FLC8 in terms of treble crispness and “edginess” – for example the Etymotic sets, the TDK BA200, etc. Didn’t realize you were using them with a phone. They are more power hungry than average – glad they’re sounding better now! At the moment, I’ve been trying to decide between the JVC FXT90 and the Gr07 Classic. They are roughly the same price (100 USD approx. ), so I’m wondering which you would recommend for general daily use, listening to a variety of music genres. I’d personally take the GR07, but that’s mostly because I know that I enjoy its more neutral and accurate sound, especially if I have to pick just one IEM as a daily driver. It’s a bit more versatile when it comes to different music genres as well. If I wanted something a little more fun – bassier and with more energetic highs – I’d take the FXT90. also check out the new 1more e1001…am very impressed with that one. reviewers feel it punches above its $100 weight class. with the 1more e1001…hope you’ll get a chance to review it, jokerl. btw i had the vsonic gr07 classic…loved it. 1more e1001 is equally compatible in my books. There’s a GR07 comparison in the MA750 review: https://theheadphonelist.com/headphone_review/rha-ma750-ma750i/ . And yes, the VSD1S is very good for half the price. In my review of it (http://www.innerfidelity.com/content/more-less-vsonic-vsd1-and-vsd1s#sS7VwTTozQ13o1F0.97) I mentioned that it provides much of the performance of the GR07 at a fraction of the cost. However, it would be wrong to say that the VSD1 is better than the GR07, or even equivalent to it. It’s just a close spiritual match at a discount. I am not sure if you have heard of Trinity Audio. As I am not sure where to contact you, but I would love if you could compare the GR07 to the Trinity Hyperion. I know it may not be in the same tier, but I currently have both, and I am very impressed with the Trinity Hyperion. Hope for your review on these gems. Thanks, they’ve been recommended a number of times. Unfortunately I’ve just been so swamped recently that I haven’t had time to look into this manufacturer – hopefully later in the year. Awesome website and reviews, I must say! Great work. I have the TF10, UE700 (my favs), SuperFi-5 and the Soundmagic PL50. Stopped using the tf10 because of the rubbish fit, the UE700’s cable stiffened badly around the ears and broke near the badly-designed straight jack, the PL50 are somewhat too dark for me so I’m now back to the SF-5. I have been interested in the GR07 classic/BEbut I can see the cable being similar to the UE700 , which means it’ll be the first to fail (sweat with it’s salts and oils in addition to rain make it inevitable). I saw the vsd3s but then saw the vsd5. Which of the 3 would you recommend? I’m more inclined to get the vsd5 because of housing shape (westone’ish) but fixed cable and straight jack make it Grrrrrrr! I’d still go for the GR07, which is the most “reference”-sounding of the bunch. The cable on them can change color with moisture exposure but it doesn’t stiffen. The UE700 used an old-school PVC cable if I’m not mistaken. It’s not very common these days. As for detachable cables, no VSonic IEMs have workable ones. the early VSD3/VSD3S units had detachable cords but replacement cables were impossible to come by so this feature was basically useless. And then VSonic dropped detachable cables altogether. Doubt the VSD3/5 and GR07 differ in long-term durability. Hi |joker|, I’m considering picking up the GR07 Classic, as my GR06’s recently broke. How would you compare the classic to the bass edition, and likewise the classic to the GR06. Also, would the GR06’s tips fit the GR07? The GR07 Classic isn’t very different from the old GR07 so any comparisons I made between the GR07 and GR06 here: https://theheadphonelist.com/headphone_review/vsonic-gr06/ and the GR07 and GR07 BE here: https://theheadphonelist.com/headphone_review/vsonic-gr07-bass-edition/ still apply to the Classic. Tips are all interchangeable between them so any that you picked up for the GR06 will still fit the Classic. Hi joker, I currently use the Vsonic Vsd3s with my iPhone 4s as the source. Would getting the Gr07 Classic Edition be a good choice for an upgrade? I enjoy the Vsd3s and I’m wondering what earphone would be a great choice for around ~$100. It’s not a night and day difference, but then the VSD3S is a very capable sub-$100 earphone already, which makes looking for an upgrade in the same price range somewhat tough. Hmm… best sidegrade for relatively balanced/neutral sound with the stipulation of no less bass than a regular GR07 is probably the Philips Fidelio S2. The DN-2000 does make for a good upgrade but it has a slightly more V/U-shaped sound signature than the VSonics. Deep bass is more enhanced and the top end is a bit brighter. There’s a more complete DN-2000/GR07 comparison here: https://theheadphonelist.com/headphone_review/dunu-dn-2000/ . Other options, like the Olasonic/Ocharaku Flat-4 and the LEAR LUF-4 are pricier and not really more technically capable than the DN-2000/FLC8, but at times do get closer to the GR07’s exact sound signature. I am from India and currently using a Soundmagic e10 with comply tip T400 paired with a rockboxed Sansa clip plus. I really like Soundmagic E10’s V – shaped sound signature, its crisp details and wide soundstage. Will V-sonic Gr07 Classic be an upgrade over the Soundmagic e10? Also can it be easily driven by the clip plus? I would really appreciate if you can take out some time to revert to my query. Thanks. Crisp details and wide soundstage are something the GR07 can do, but its tuning, despite also being slight v-shaped, is different from that of the E10. The E10 has a bass bias to its v-shape so it sounds warmer and more impactful. The GR07 is less v-shaped overall and has more of a treble/brightness bias (I wouldn’t call it a bright earphone, just brighter than the E10). If you can live with that difference then yes, it is an upgrade over the E10 and it will be drive sufficiently by the clip+ (assuming you don’t use the E10 at max volume). I use the e10 at slightly less than 50 percent volume level. Thank you for your prompt response. Have decided to go with VSonic Gr 07 classic. Dear Djoker – just an update . I have purchased gr07 almost 4 months now. This is a very special IEM. almost everyday there is some aspect of a sound or a recording that make me go WOWat this beauty. I have purchased a fiio e06 and that seem to have improved the vocals by making it more forward. At the end thanks a lot in helping me zero down to this great set of IEM. i am truly happy with this. Great to hear, I’m very glad you’re enjoying them! Appreciate the feedback – always good to know when a recommendation works out so I can make (or not make) the same one in the future. Dear ljokerl – Another update after 2 years – My GR07 classic is performing well. However the cable rubber cover has started to fray and break at multiple places exposing the wires. I am a bit disappointed that a flagship product will come undone so easily build wise. Unfortunately there are no headphone cabling service on my area. As an alternative I have used 3M transparent plastic tape to layer the entire cable. On the positive note this has addressed the entanglement issue of the wire. Sound wise it is as good and crisp as ever before and I am very fond of it and want to preserve and enjoy it as long as possible. The sound signature has slightly changed over the years. It now seems that the music plays a bit slow. Not volume wise but almost like hearing a music in slow motion but only very slightly. I do not know may be I am wrong and just hearing things. I do need a suggestion on earbud with good comfort and isolation for this IEM. Any suggestions pls. Thanks in advance. Where did you buy it from? You can actually ask Vsonic to recable the IEMs. I think it was about $20 for them to do that plus shipping back to China if you’re out of warranty. I have a set of the mk2 pros and I’m suffering from a short somewhere in the cable. I’m looking for advice on having them recabled, possibly with disconnects added, around $130, or just puchasing another set to use, replacing these. I originally bought them as cheap IEM’s for use on the bandstand , I’m a musician. At this point, I only have about $150 to commit. Any advice? They have a few options. So get in touch with them to determine what would be the best option in your case. I’ve had the original GR07 for close to 4 years now. The cable sheath has frayed in multiple places and the cable itself is coming apart on the right side where the short strain relief terminates. I’m thinking of getting the classic to replace the original since cable can snap any day. I also own the JH13pro and when compared the GR07 falls behind on the bass by a large margin. So, bass-wise how does the classic compare to the original? Oh, I actually don’t use the JH since it effort required to put it on always deters me so I want a budget but good enough IEM that I can pop in and out quickly. Thanks. Bass-wise there’s basically no difference. However, you can still get the GR07 Bass Edition for just a couple more bucks: https://theheadphonelist.com/headphone_review/vsonic-gr07-bass-edition/ . It has a few more dB bass compared to a regular GR07 (classic or otherwise). Thanks joker. Lendmeurears is is having a sale on the Classic and the Bass edition ($78 and $107). Really tempted to pick one up but now I think detachable cable is absolutely necessary (especially since the GR07 has a rather poor cable design). Should I wait? I’m looking at the the Vsonic VSD3S. How do they compare (percentage-wise or sound wise) to the GR07 Classic? Awesome! Thanks…. it’s really boiled down to the GR07 classic, VSD3S, and JVC FXT90 for my iBasso DX50 pairing. Hi Joker, awesome review as usual. Can I ask, do you have any idea if Vsonic would release a GR07 upgrade or with a removable cable? I do own an ATH IM50 and I’d say that my GR07BE still trumps it. The only reason I got one was my GR07BE cables are starting to deteriorate after extensive use for the past 2 years. There’s been talks of a VSD5 and VSD7 for at least a year now with various release dates cited, but as far as I know nothing concrete. Both of those were promised to compete with the GR07 in performance. I hope that those won’t be a step back from the VSD3 in terms of detachable cables, but rather an improvement with more reliable (and maybe non-proprietary) sockets. However, it’s all just guesswork at this point. Wow, now this is how you maintain a legend. With the bang for buck competition moving close to the 100$ mark, Vsonic has made a very clever move. Years on and the GR07 is still great value for the cost, despite the occasional sibilance. Coming to personal preferences, does the GR07 offer your preferred signature? I like the GR07 a lot, especially the bass, but my preference leans towards having a little more mids, and of course smoother treble. Can’t have it all for $99, though, and I can’t think of anything I’d clearly pick over the GR07 with that budget. So, a bassier RE400 would fit the bill? How is the Havi faring against the 99$ competition? The sustained head-fi-hype has me intrigued. Guess we’ll find out once your review is out. PS: ljokerl, as a fellow android user, you should try this(if you have a minute or two). Use Poweramp, bump the 31Hz band by ~7db, and play a song where the re400 didn’t reproduce the sub-bass accurately. I haven’t used any EQ that didn’t upset the tonal balance, but somehow Poweramp doesn’t. It’s nearly fized my only qualm with the RE400. The RE-400 is a little on the mid-centric side for me. The sadly-discontinued TDK BA200 and top-tier TWFK-based sets (like the VSonic VC1000) are a little better for me from a balance standpoint, as long as the treble is kept smooth and the low end is not lacking. Not sure what I think of the Havi yet – it’s certainly good-sounding, but I was led to believe it’s an RE-400 replacement, which it isn’t. The sound is less neutral/more colored, not that there’s anything wrong with that. I do use Poweramp but the Nexus is not my main audio source. The EQ functionality is good, though. Hi joker. I really agree when you say that a bit more mids and smother treble would be a “winner” sound sig on the gr07 classic. Do you know some IEMs with those qualitys better (comparing with GR07 classic)? Can you share their names? I’m not considering any limitations then this “winner sound sig”. The Audio Technica im50 or im70 would be one of those? I haven’t tried the IM50 or IM70. Despite its issues, the GR07 is a top-tier earphone so typically you end up making concessions elsewhere with other sets – for example the Olasonic Flat-4 has cleaner, better-quality mids and less sibilance, but also lacks the warmer tone and bass impact of the GR07. The LEAR LUF-4F has good bass, less sibilance, and much better midrange clarity, but also has an upper midrange lift that doesn’t always sound as natural as the VSonic. The StageDiver SD-2 has better-quality bass, mids, and treble but is tuned for a flatter, smoother, more stage-oriented sound that won’t necessarily appeal to GR07 fans. Obviously the JH13 Pro or possibly some of the other top-tier customs make for an all-around upgrade with no concessions aside from maybe having a little more presence here or a little less there, but now that the GR07 is $99 we’re talking a 10x increase in price. Hi Joker, will the GR07 classics still require 100-150+ of burn in to sound good? Was enjoying these out of the box, with less sibilance than my GR07 mkI. While giving all new earphones a few dozen hours of eartime before judging them is always a good idea, I don’t think that’s especially necessary with the GR07 Classic. I think that says something about how popular they are with their owners :). Good thing is that it’s probably not necessary to search – the Classics are easy to find and cheaper.